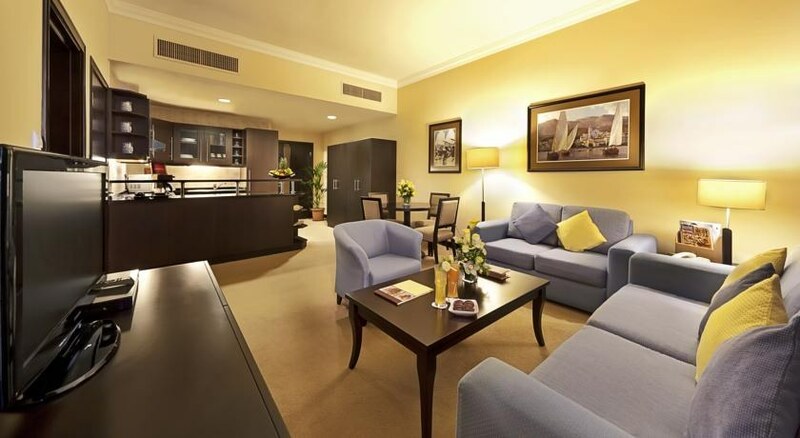 This apartment hotel enjoys a convenient location in the tourist club area in the heart of Abu Dhabi's bustling business and commercial district. It is only 15 minutes' drive from Abu Dhabi International Exhibition Centre and within walking distance of the famous Abu Dhabi Corniche and Abu Dhabi Shopping Mall (500 m). Major local and international banks and headquarters of leading companies and corporate houses are also nearby. 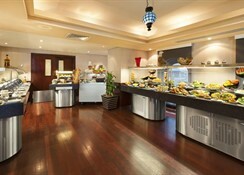 It lies 30 km from Abu Dhabi International Airport and 160 km from Dubai International Airport. Amenities include snack service on the deck of a rooftop pool. There's a restaurant serving International cuisine, plus a cafe with a terrace. Other amenities include a Finnish sauna and a gym. Conference and event packages and babysitting services are available. All our suites are luxuriously appointed and tastefully decorates. 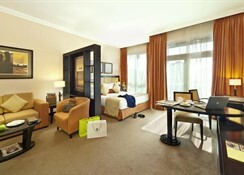 Stylish and spacious, each unit has been designed with the clients comfort in mind. 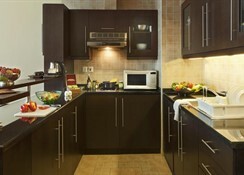 All suites feature a fully equipped kitchenette and a beautiful living area. All rooms have direct dial telephone, Hi Speed Wireless Internet, Wide LCD Multi Channel Satellite TV & Radio, Temperature control, tea & coffee making facilities and iron & ironing board. Room rates include complimentary High Speed and wireless internet connection. Set 1 km from shopping at the Abu Dhabi Mall, this contemporary all-suite hotel is also 4 km from the palace Qasr Al Hosn and 7 km from the Abu Dhabi Corniche.